Neoprene — Neoprene is the base material that virtually all wetsuits are made of. Neoprene is a type of rubber foam and is typically laminated with other materials depending on the desired function of the material. Standard Nylon — A standard nylon outer lining is very durable against normal wear and tear. Normal care must be taken to prevent snagging, abrasion, and cuts. Skin material — "skin" material may be used either inside or outside of your wetsuit and often around the wrists, ankles, and neck area. This material has a rubber like appearance either being smooth or textured, and is commonly referred to as "skin-in" or "skin-out". "Skin" neoprene material is typically used in areas where a water tight seal is desired or a benefit can be derived from it's water shedding properties. Some additional care is needed to prevent cutting, or abrasion of this material. Sharp fingernails may cut this material if care is not taken. Thermo-skin — This material may be used inside of your wetsuit. Thermo-skin material has a silver-colored smooth skin type surface. This material has beneficial heat reflective properties and also provides a sealing surface similar to standard "skin" materials. Some additional care is needed to prevent cutting, or abrasion of this material. Sharp fingernails may cut this material if care is not taken. X-Flex or Iso-Flex Neoprene — X-Flex and Iso-Flex neoprene are special materials designed specifically to have a much higher rate of stretch than conventional materials. Due primarily to the looser nit needed to achieve this high degree of stretch; these materials may be more prone to snagging. Velcro may also cause some light snagging and pulling of the material. Some additional care is needed to prevent excessive abrasion or snagging. If you're diving or snorkelling from a beach or the shore, keep your wetsuit up and away from the mud/sand. It's not so comfortable to pull on a sandy wetsuit! When removing your wetsuit, first unzip all the zippers completely. Then remove one section at a time taking care to avoid puncturing any of skin surface panels with a fingernail. Also, when you take off your wetsuit, stand on pavement, a rock, your changing bag, grass or anything besides the middle of the sandy beach. Salt water and especially chlorine can "dry out" the neoprene material. When neoprene material "dries out" it looses its flexibility. To ensure the wetsuit material retains its flexibility for a extended period of time, it's important to thoroughly soak and rinse the wetsuit. Soak the wetsuit in a tub of warm fresh water, not over 49°C (120°F), for at least 15 to 20 minutes. Do not use strong washing agents, such as bleach, when soaking your wetsuit. They are way too harsh for your neoprene wetsuit (not to mention the discoloration that will occur). There are some mild cleansing agents, such as McNett Wetsuit and Drysuit Shampoo, and McNett MiraZyme Odour Eliminator, that you can purchase from O2ToGo Dive Centre . If these specialized products are not available, you can use a mild dish washing detergent. Removes mould, kills germs, deodorises and conditions wetsuit fabric. Regular use will prolong the life of your wetsuit. Wetsuit material can develop a permanent crease if left folded for a extended period of time. It is best to store your wetsuit laying flat. If that is not possible, you can store your suit on a hanger. Use as thick a hanger as possible to better support the weight of the wetsuit. The thicker the suit, the heavier, and therefore the thicker your hanger should be. There are several after-market hangers available designed specifically for this purpose. We especially like the Underwater Kinetics Super Wetsuit Hanger. Store your wetsuit in a cool, dry and protected place out of direct sunlight. 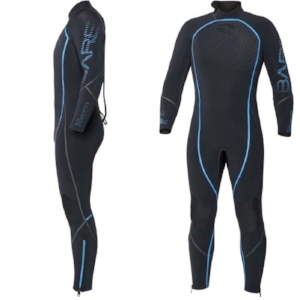 Huge Shoulder areas allow for natural air convection to flow throughout wetsuit and wick away moisture inside and out. Store your wetsuit as long as you like with NO harm from pressure points. Push-pull brush top enables the cleaner to be delivered between the teeth and physically removes harmful dirt, sand, and salt deposits that can damage sensitive zipper components. A powerful blend of microbes that quickly and easily eliminate odours, so your wetsuit smells fresh and clean again. Instead of covering up odours, MiraZyme's naturally occurring microbes remove the bacteria that cause them. 1st: Fill the tub up a quarter of the way with fresh, warm (not hot) water. 2nd: Add a couple tablespoons of dish washing detergent, just enough to get a dilute bubbly water bath for soaking. Note: Some people will use laundry detergent, but we think even that is too harsh for neoprene (and tougher to rinse off). 3rd: Wash your wetsuit in the tub of soap and the detergent will break down the body oils and odours. In addition, it will help wash away the bacteria that caused the smell in the first place. 4th: Rinse your wetsuit in fresh water in order to get all the detergent off. 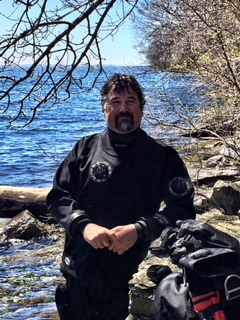 Then hang your wetsuit up to dry in the fresh air (away from direct sunlight). 5th: Every few weeks, repeat this process to keep your wetsuit completely odour-free!